The British Pound is moving downwards because of Brexit uncertainties are still be continued. Even if GBPAUD has been sinking the last 3 weeks, the overall long term trend remains bullish. 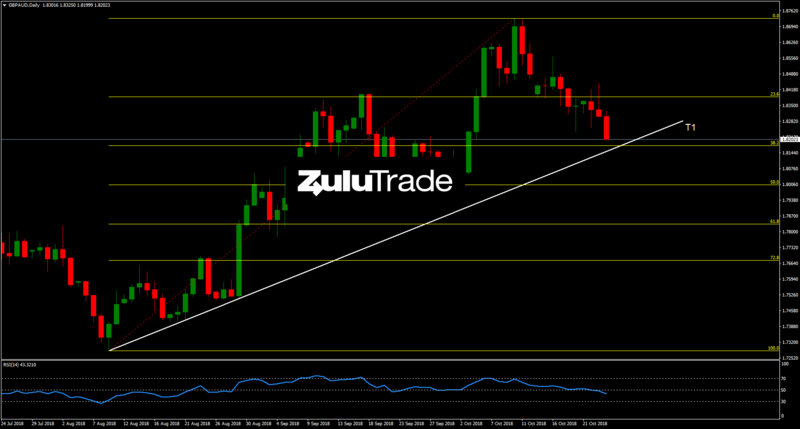 The trendline acts as a major support, while it comes in confluence with the 38.2% Fibonacci level. 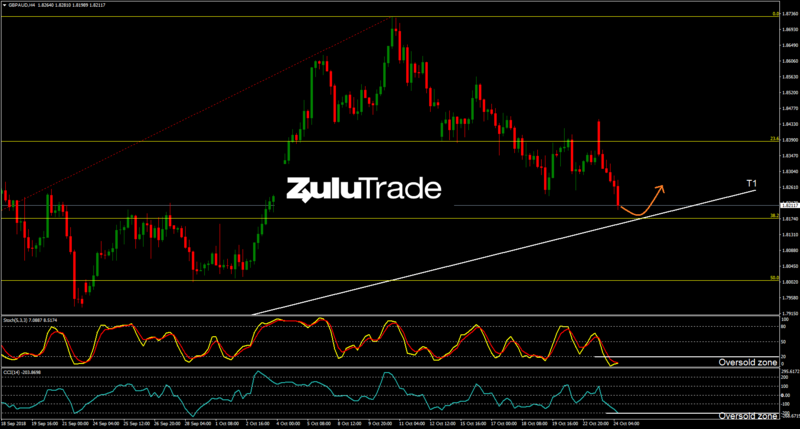 Moreover, RSI is within the zone 40 to 50, which is supposed to act supportively during an uptrend. Heading to H4 timeframe, Stochastics is oversold, at the same time CCI is flirting with the oversold area. Overall, the setup indicates a potential reversal for the pair. On the other hand, a violation of the trendline (T1) to the downside may points out a bearish momentum strengthening. Today’s agenda doesn’t include any major economic news, so there are no expectations for high volatility.